Your Local Solar Experts, Since 1984 POCO Solar Energy, Inc. has been providing world class solar energy service and products to residences and businesses from San Francisco to Monterey Bay. For 3 decades, POCO has been designing, installing and maintaining solar energy systems that heat swimming pools and domestic hot water, and provide electricity for thousands of satisfied customers With over 150 years of combined solar knowledge, POCO's team has the experience you can count on to help you choose the smart solutions to reduce your energy bills and enhance your quality of life. Take a step toward energy independence and being part of the solution. Join the over 12,000 customers that count on and trust POCO Solar Energy, Inc. to meet their solar energy needs. 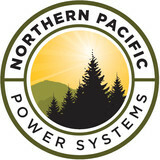 We are an owner operated company providing high-quality energy solutions to the North Bay Area. We specialize in the design, installation, and maintenance of turnkey, grid-connected, solar PV power systems. At every juncture of going solar, we offer our clients personalized service that focuses on their unique needs. Serving the Bay Area for 14+ years! With an average of 9 years installer experience per person, we provide some of the highest trained solar installs in the business. We take time to provide highly reliable quotes and installs at your home or business, roof mount, ground mount or canopy. NABCEP certified installers and sales professionals mean we go well beyond the industry average to guarantee knowledgeable technically trained installers. 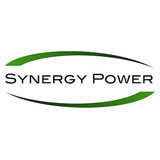 Serving the solar industry for over 14 years, NABCEP installer certified, and a passion for creating great teams, Synergy Power sees the true value of energy. We all need better energy, whether it’s as simple as turning off the lights or giving a team member the spotlight. Energy should be used where it matters most. Pac Solar is a full service solar integrator offering sales, design, and installation of state-of-the-art solar energy systems for both homes and businesses. We are committed to providing only the highest level of service from initial contact to commissioning your solar system, as well as any of your future service and maintenance needs. We are Marin's premier solar installer. A local, community-focused solar company, Simply Solar strives to put people first. Founded by a group of industry veterans and experts in the fields of technology, we wanted to make energy independence as simple and accessible to as many people as possible. Simply Solar is changing the way people get their energy by offering custom solar solutions for homes and businesses. We specialize in the installation of high-quality, USA-made products with a strong emphasis on customer relationships. We provide support throughout the entire process of your solar installation, ensuring that your system is installed quickly and professionally, with additional monitoring and support for the entire life of your solar panels. Contact us today for more information! American Solar Corp. is a locally-owned clean energy expert, passionate about delivering premium energy solutions for our clients while improving our environment. We thrive on close collaboration with our clients to understand their energy needs and overall financial, aesthetic, environmental, business goals. American Solar Corp. is headquartered in Marin County and has earned a stellar reputation in the community for thoughtfully designed PV systems tailored to meet the exact needs of your business or residential projects. American Solar is a Master Elite SunPower Dealer. This means we are among the nation's best installers of the best product line in the industry. Professional Solar PV System Design, Sales, and Installations in Northern California. Family owned and operated business with over 15 years servicing the Sacramento area. Offering the highest quality installations available while offering the "best value under the sun". Call today for a free quote. The Solar Bros are the #1 Solar Contractor in California offering Solar Energy Services, Roofing Replacement, & New Air Conditioning Installations for Residential, Commercial, and Government Contracts providing custom design, financing, installation & monitoring. Servicing Cities: Vacaville, Stockton, Sacramento, Dixon, Rio Vista, Napa, Fresno, Merced, Lathrop, Elk Grove, Folsom, Roseville, El Dorado Hills, Yuba City, Grass Valley, Marysville, and more. The Solar Bros take pride with enabling every homeowner in California the opportunity to own solar with our unique partnerships with the best finance companies in the nation. We don’t require any income verification, money down or credit minimum. Oh, and don’t worry, there won’t be any lien on your property or personal line of credit loans. As long as you own your home, you can own your solar system and save money it’s that simple. GreenTech Developers has established its reputation with over 35 years of experience in San Francisco and Bay Area construction industry. Our company specializes in all aspects residential roofing, residential solar, commercial solar and other construction projects. The GrenTech team takes on the highest level commercial projects to the smallest house roof repairs with meticulousness and precision. GreenTech provides elite workmanship utilizing a professional team of in-house labor and licensed qualified contractors. Citadel Roofing and Solar is California’s contractor of choice for all your roofing and solar needs. With more than 30 years of experience, the team at Citadel Roofing and Solar has installed roofs and solar systems all over Northern and Southern California. While working for Major Residential Home Builders, Multifamily Apartment and Condominium Builders and Custom Home Builders, Citadel Roofing and Solar has earned the respect of the industry we serve. We are proud of our great reputation and look forward to working with you on your next project. So whether you are building 500 homes, a large apartment complex, that beautiful custom dream home or outfitting your existing home with a high-performance solar system Citadel Roofing and Solar is here for you. At M & S Green Power Energy we have the right team with valuable experience in the construction industry. Our team of designers, artisans and craftsmen have the right experience to give you the best. M & S Green Power Energy has the creative and innovative touch to give you an excellent showplace. Our company believes in the need to be of immense support to the community. Our adequate experience in design has enabled us to creatively develop the concepts of clients and handle every project from conception to successful completion. Our results are tailored to meet the needs of every client, and that is the reason why we are passionate about going beyond and over the expectation of our clients. Eagles Nest Energy, Inc. prides itself on being the go-to choice for clients looking for Solar Panel Installation, Solar Panel Maintenance and Solar Panel Design services. So, why work with Dividend? Dividend connects homeowners, installers, and financial investors, creating partnerships and accelerating the growth of clean, renewable energy. We make solar ownership a realistic goal for our customers with our $0-down EmpowerLoan. Using a simple, streamlined financing process we offer a seamless, cost effective path to getting solar and reducing your utility bills. In addition, we offer: - The freedom and peace of mind of hassle-free solar ownership - An instant credit decision and seamless online loan execution - High-quality installation from accredited and trust worthy installers - Production monitoring which allows you to track exactly how much electricity you have generated over time - No pre-payment penalties - The benefit of worry free automated loan payments Not sure if solar is right for you? Give us a call at (844) 805-7100 or visit www.dividendnow.com to learn more. We’ll walk you through the process and answer any questions you may have. What types of residential solar power systems do solar energy contractors design and install? Solar power systems are part of the growing energy efficiency trend. You may be wondering, what is solar energy, exactly? Solar energy is energy that comes from the sun, and is then converted into electricity and/or utilized for heating air or water. The most common types of alternative energy systems for the home are solar electric, solar water heating and wind power systems. Solar professionals can help with everything from installing solar skylights to implementing complete solar energy systems. Let’s say you want a solar electric system for your home. An off-grid system basically consists of solar panels and battery banks. These battery banks store the sun’s energy so you can use electricity at night or on a cloudy day. This system is designed to keep household electricity running for about two or three cloudy days; longer cloudy periods require a backup generator. To install an off-grid system, you’ll want to hire a certified California solar energy contractor. Along with off-grid solar, wind and hybrid energy systems that include batteries and backup generators, there are also grid-tied solar and wind operations. Grid-tied systems are attached to your Hercules, CA utility company so if you produce more energy than you use, your meter goes down and you build up energy credits. Installing solar skylights can save electricity. Sun tunnel skylights are tubular daylight devices that capture sunlight through domes on your roof. Attached to these domes are highly reflective tunnels that draw natural light down into closets, hallways and stairways. Do you have state certification? Will you come to my home for a free onsite consultation? Are you able to repair an older system? Can you provide me with a layout to see where the panels will go and what they will look like? Can you give me any information on California solar rebate programs? 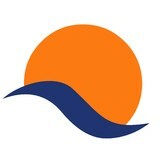 Find solar energy contractors in Hercules, CA on Houzz. Search the Professionals section for Hercules, CA solar energy contractors or browse Hercules, CA photos of completed installations and look for the solar energy contractor’s contact information.